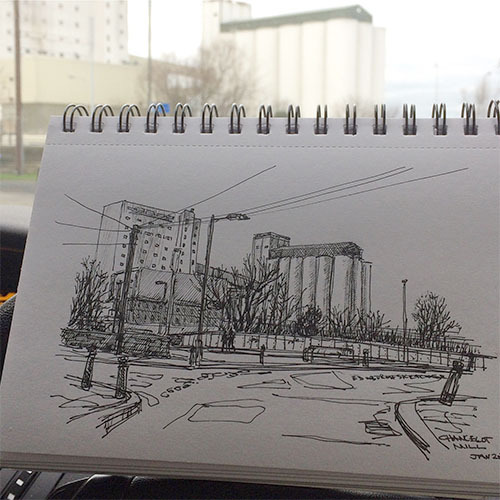 Yesterday I had a little time free so headed along to Leith in the car looking for interesting places to sketch. It’s great to be able to capture Edinburgh landmarks such as this, places that everyone knows as a point on their journey home, or a place that holds memories of growing up close by. There are so many in Edinburgh and talking to people in the city you realise how much these buildings mean to them. 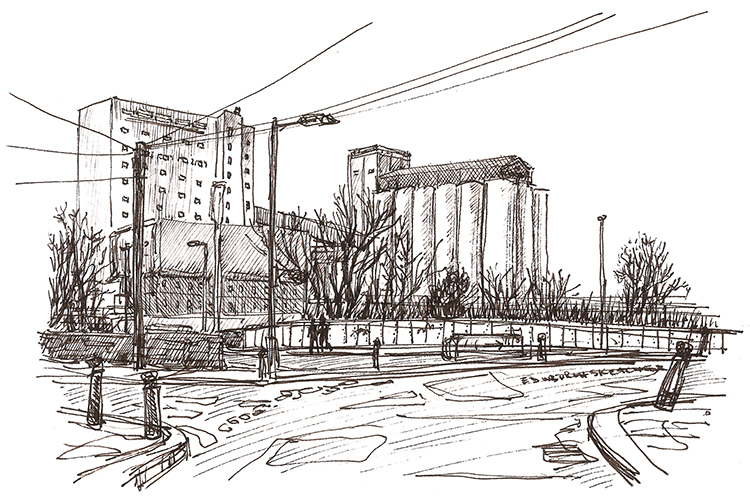 Chancelot Mill is a flour mill producing organic and non-organic flours, bakery pre-mixes, concentrates and sundries for the baking industry in Scotland and the North. The above sketch was drawn with a 0.5 fine liner uni pen and I plan to have a few copies made on giclee art paper that I can then add watercolour too to create many individual pieces of art from this one sketch. Watch this space, I’ll let you know how I get on.